Glowbal Grill used to be in Yaletown but now they have relocated to the new Telus Gardens building on Georgia and Seymour. I’ve never been to their old location but the new one is really fancy looking! Like somewhere you would go to impress someone. All the waitresses are wearing similar uniforms and in the dim lighting, they all looked the same! 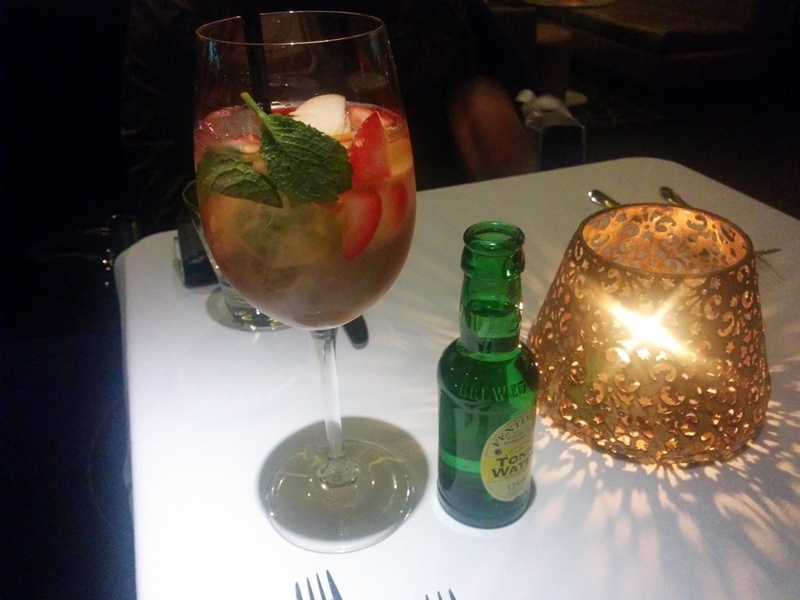 The Rose Sangria caught my eye with pears and strawberries as well as rose wine, peach liqueur, apple juice, mint and tonic water. 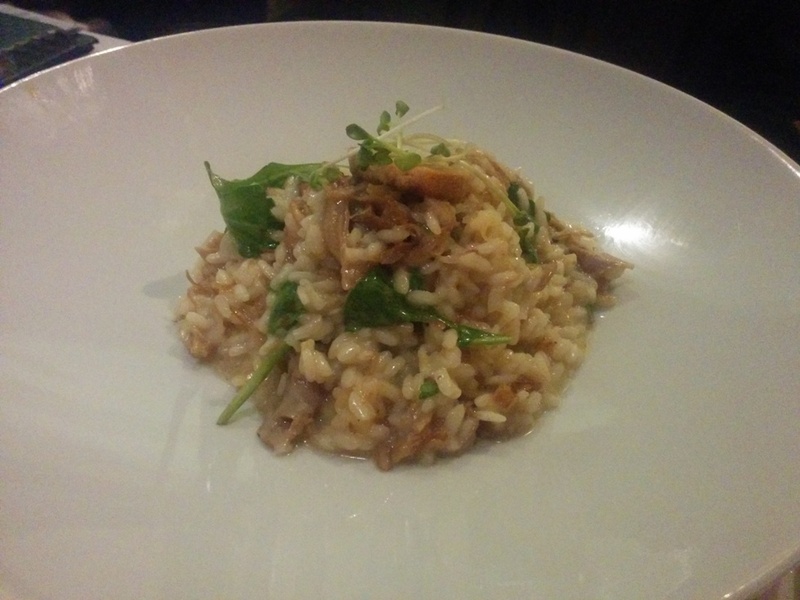 This was the Risotto of the Day and I think it had duck confit? Flavours were good but the portion was small. 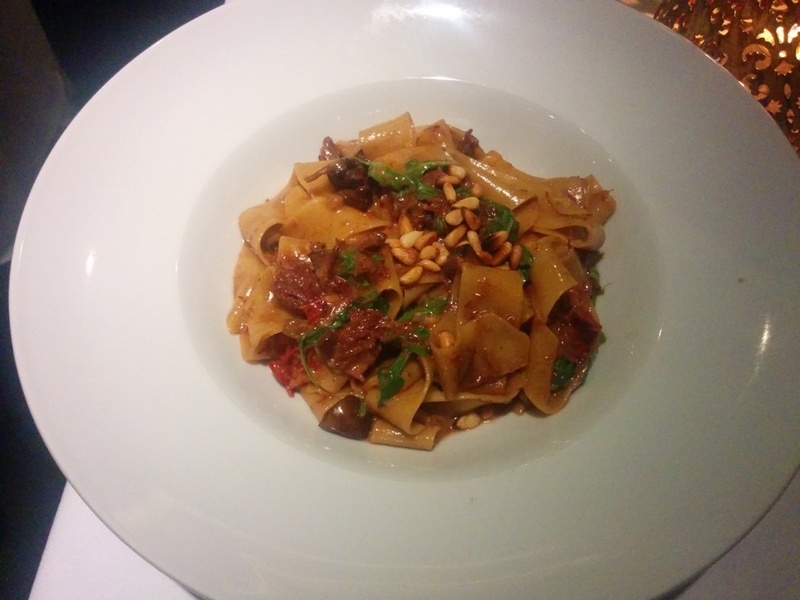 This was the Short Rib Pappardelle with mushrooms, spinach and pine nuts and it was so good! The pasta was cooked perfectly and the sauce was delicious. The short ribs were nicely braised and soaked up the sauce well. I wish there was more! I liked this a lot more than the risotto. For dessert we went with the Mango Passion Cheesecake. 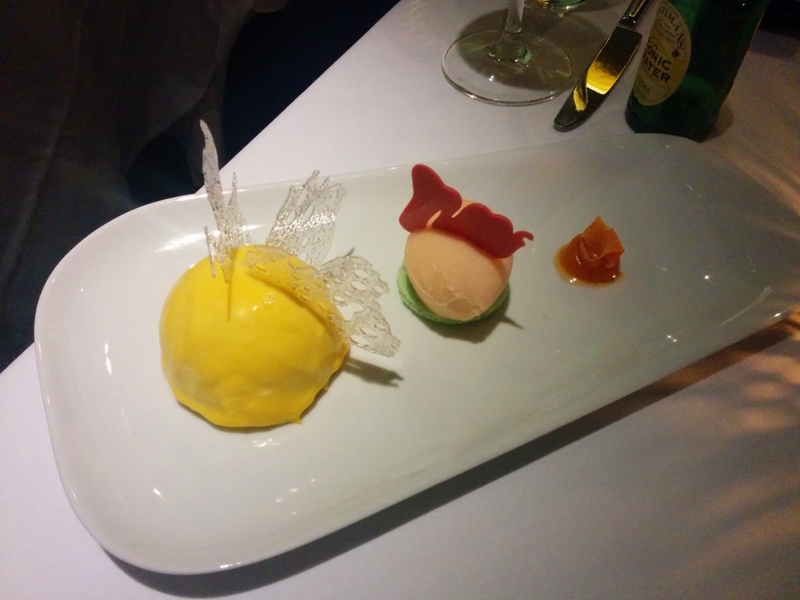 It was a vanilla mascarpone cheesecake with mango and passionfruit glaze and a mandarin sorbet. The cheesecake was a bit sweeter than I expected and the mango flavour tasted artificial. I liked the tartness of the mandarin sorbet though. I also thought it was overpriced at $12 and I expected more. This would be a nice place to go if you had a large group or something to celebrate. This entry was posted in Food Reviews, West Coast and tagged dessert, pasta, risotto, sangria.